A worldview of ""spiritual warfare"" is widely held among charismatics and Pentecostals, but it has been criticized for producing paranoia and denying personal responsibility. It is less well known that the term was first used in print around 1970 by Anglican charismatics. What did it mean to them then, and what are the practical effects of their worldview? Should we now be adopting a more sophisticated ontology of evil, such as Nigel Wright's ""non-ontological realist"" view or Amos Yong's ""apophatic theology"" of the demonic, rather than the traditional one that Satan and demons are real ontological entities? This practical theological study begins with a study of Anglican charismatic pioneers, and an in-depth case study of a charismatic Anglican congregation, before grappling with the ontological question in dialogue with Wright (together with Barth and Walter Wink), Yong, and Gregory Boyd. A fresh engagement with the biblical texts then argues for a positive, realist ontology for rebellious demonic powers and presents a Trinitarian model of spiritual warfare praxis that emphasizes personal responsibility and promotes freedom from fear. ""Smith has produced a study on spiritual warfare unusual in its depth, rigor, and theological insight. By engaging with lived experience, biblical material, and contemporary authors of different perspectives, he has opened a new way of understanding spiritual warfare. This book deserves to be taken seriously "" --Gavin Wakefield, Director of Training for Missional Ministry, York Diocese; Author of Alexander Boddy: Pentecostal Anglican Pioneer ""This book is a gold mine. 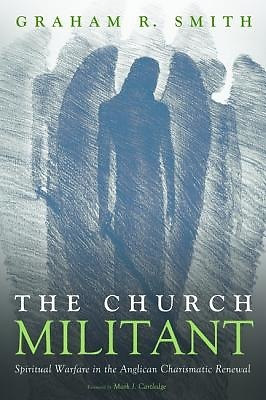 Where else will I find a scholarly but readable tour de force about the experiential, philosophical, biblical, and theological aspects of the battle withevil as understood in thecharismatic churches of the UK since the 1970s? The writer recordsinterviews with well-known practitioners. He considers with an open mind the critical views of established scholars. Ultimately, he emerges with carefully nuancedsupport for the traditional and orthodox understanding of Satan and the demonic realm. Excellent "" --Graham Dow, formerly Bishop of Carlisle, England; Author of Explaining Deliverance REV'D DR GRAHAM SMITH is Team Vicar in Bushbury parish, Wolverhampton, UK.